Film does not always recognise mining's contribution to local communities. Image: Rio Tinto. The science-fiction adventure film Avatar broke box office records when it released in December 2009, eventually becoming the highest grossing film of all time with $US2.8 billion ($4 billion). Canadian director James Cameron is currently working on four sequels, renewing interest in the franchise. But what has this got to do with mining? Both Cameron and Avatar are well known for their strong ecological bent and the record-breaking film is perhaps the highest-profile example of Hollywood’s contentious relationship with the mining industry. “While we appreciate that film directors and producers need to deliver results at the box office, we urge them to also focus on the obligation to be accurate and responsible in their portrayals of the modern Australian mining industry, its world-class workforce and the regional communities in which we operate,” Minerals Council of Australia (MCA) chief executive officer Tania Constable tells Australian Mining. In Avatar, an NGO called the Resources Development Administration (RDA) leads a mining operation on the fictional moon of Pandora. The RDA clashes with the Indigenous Na’vi, eventually displacing them from their lands by force in an obvious parallel to historical mistreatment of Indigenous peoples by miners and industrialists across the world. Rio Tinto chief executive Jean-Sebastien Jacques has been critical of Cameron’s on-the-nose metaphor, highlighting its effects on the perception of the mining industry at the International Mining and Resources Conference (IMARC) in Melbourne last October. “Our industry is one of the least trusted on the planet. Unfortunately it’s a mainstream idea,” Jacques says. Jacques suggests the image projected by mining online in particular is important, and that the industry could perhaps take a leaf from Silicon Valley’s book in order to reinvent its technocratic image. Fairfax Media film critic Paul Byrnes believes representations of the mining industry, such as those in Avatar, have an element of truth to them. “It’s hard to call it a cliché if it is true,” he tells Australian Mining. “Movies tend to portray mining as a dirty and irresponsible industry because for most of the past century or more, it has been that. Association of Mining and Exploration Companies (AMEC) CEO Warren Pearce is less convinced that movies have much of an impact on the perception of the mining industry, stating that TV news, newspapers, as well as online news and commentary are bigger catalysts. “Our industry is continuously trying to change perceptions and better inform the community,” he tells Australian Mining. Typically, Hollywood’s portrayal of mining falls into one of two camps: dramatisations of real-life mining controversies, or fantastical and science-fiction interpretations. Movies such as North Country (2005), Blood Diamond (2006) and Gold (2016) fit comfortably into the former category, while science-fiction films such as Avatar (2009), Moon (2009) and Blade Runner (1982) make up the latter. Ridley Scott’s 1982 film Blade Runner implies that replicants — androids visibly indistinguishable from human beings that are manufactured en masse by the Tyrell Corporation — are being used as slave labour in off-world mining colonies. The film refers to this in a subtle, throwaway fashion; the mines are not seen in the film, but are simply used as audience shorthand for Tyrell’s moral bankruptcy. Avatar is more blatant than most, however, in its anti-mining message. The RDA strip mines Pandora’s land for the highly valuable superconductive fictional mineral unobtanium (named after the real-world hypothetical engineering concept, ‘unobtainium’), posited in the film’s future world as a solution to a desperate energy crisis on Earth. Such science fiction narratives are often held up as a mirror for society, with ‘space mining’ reflective of a utopian ideal, according to Byrnes. 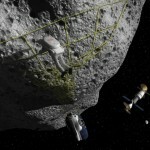 “There is a lot of mining in science fiction, especially in outer space exploration, but that partly reflects an idea that we have run out of things to mine on earth — and that’s hardly flattering to the mining industry either,” he says. Actor Giovanni Ribisi, who in Avatar plays the greedy RDA administrator in charge of Pandora’s mining operations, comes from a long-established stock type in Cameron’s films. “[James Cameron] is a big environmentalist,” explains Ben O’Shea, film critic and editor of The West Australian’s Inside Cover. “Often these films reflect the personal interests of the people who are writing the films and making the films, and I think you’ll tend to find that people in artistic fields of endeavour probably lean a little bit more to the left in terms of environmental conservation. 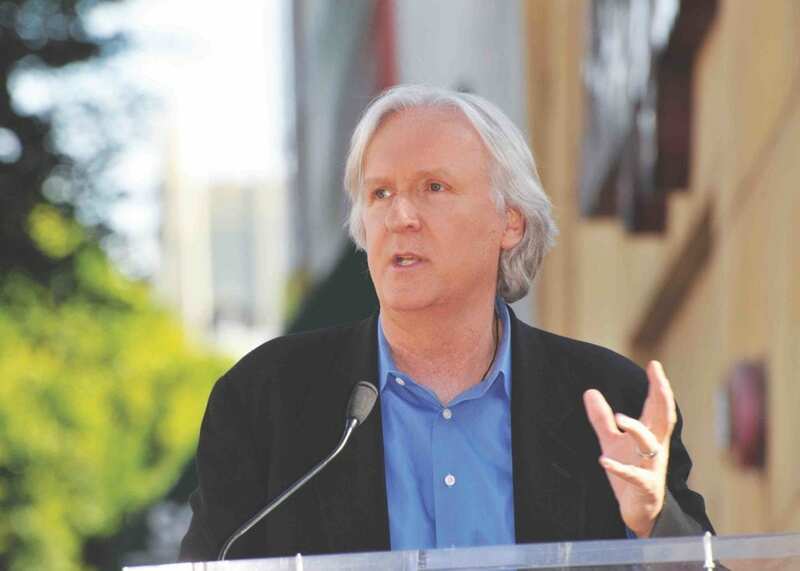 Avatar director James Cameron. Image: Shutterstock. These parallels were not lost on journalists; a Newsweek article written by Melinda Liu shortly after the film’s release compared the RDA’s actions in Avatar to the tree felling and forced displacements in Tibet perpetrated by the Chinese Government. Cameron’s script makes sure to show the corporation’s contempt for the local inhabitants. Ribisi’s character refers to the Na’vi as “savages” and mocks what he considers their backwards sentiment for the land. It is a perception that the mining industry had taken great strides to escape in recent years, particularly in countries such as Australia, where the industry’s relationship with the Indigenous custodians of the land is a sensitive topic that is taken seriously. “Avatar does not represent how modern mining is conducted in Australia,” says Constable. “As a fantasy film, it relies on an outdated portrayal of mining which ignores the innovative practices and environmentally responsible approach of the modern mining industry here and across the world. The rise of Indigenous Land Use Agreements in Australia in the last decade has seen a surge in Aboriginal participation in the mining workforce, which doubled from 2006–2011. From the mid 1990s to 2011, the number of Indigenous people in the Australian mining workforce rose from a few hundred to over 7000 people. Several mining majors have also introduced significant diversification programs such as Rio Tinto’s Indigenous Scholarship program and Fortescue’s Jawun program. Rio Tinto now stands as one of the largest employers of Indigenous Australians in the country, employing over 1500 people. Like Constable, O’Shea suggests that mining’s presentation in the movies does not reflect modern scenarios, but “out-of-date stereotypes”. “The mining industry would benefit from paying attention to what is shown on the silver screen and seeing how they could perhaps work with Hollywood and other film producers in the future to improve its reputation,” he says. Byrnes, on the other hand, believes the mining industry would do better to look inward. “Most of those films are not about the future but about the present in that sense. I can’t think of too many films where mining is looked at in a positive light,” he says. 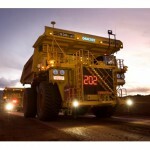 What are mining’s standout innovations?